Home » Hereford & Ireand History » Home – what does it mean to you? Home – what does it mean to you? This post was suggested by The Writing Reader’s prompt #1753, the first line of Daphne du Maurier’s Rebecca. Urishay Castle. © Copyright John Thorn and licensed for reuse under this Creative Commons Licence. Last night I dreamed I was back in Urishay, a small community of farms and cottages in the hills above the Golden Valley, close to the Black Mountains that mark the border between England and Wales. I was a babe in arms when I first arrived there with my mother and grandmother. It was to be my home for the next 14 years. Our cottage had thick walls of local stone. A stream ran in a deep ravine with two waterfalls behind it. Cattle grazed the surrounding fields for a large part of the year. In summer sweet smelling hay was harvested to provide winter feed for these animals. It is a place full of memories of warm summer days spent roaming the lanes and hedgerows. There was an orchard with ancient apple and pear trees. I remember well the delicious, golf-ball-sized, pears that grew in abundance on two or three of these gnarled trees, fruit that were as attractive to wasps as to us children. Home is a strange concept. I have lived in many other places since, but that cottage in Urishay will always be ‘home’ to me. So, too, will the boarding school at which I resided for 40 weeks of every one of the six years between the ages of 11 and 17. I have been back a number of times recently and it fills me with memories of my youth, as do the many exchanges between myself and other former pupils on a Google forum created for the purpose. 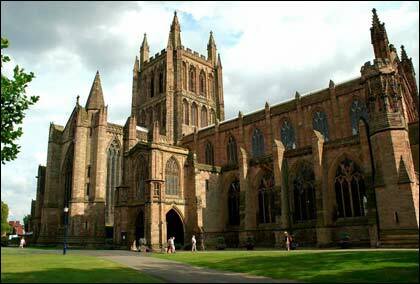 The city of Hereford, Coventry, Cleethorpes and a small village in East Yorkshire have all been home to my wife and I at various times during the 50+ years of our marriage. Over the past few years we have created a home with a beautiful garden in a lovely part of the Irish Midlands. One of the new friends I have made here in Ireland recently published a book entitled Home. His experience of home is very different to mine. He remained in the same small town throughout his life, apart from a brief period in university. Now retired from a teaching career in the town in which he was born, he has spent the past few years researching the history of the town. He created a website filled with photographs of the town’s buildings, each one accompanied by details obtained from census returns of the various inhabitants and their trades. Home contains much of this same fascinating information that documents the life of an Irish market town from its inception as a defensive fort at the time of the Tudor plantation of Ireland to the meteoric expansion of the ‘tiger’ years and their accompanying construction boom. But in his book my friend has preceded the historical facts and anecdotes with eleven delightful short stories about fictional characters and their lives in the town in the 1960s and ’70s. It is this fascination with the way life was lived in one’s youth that, perhaps, most accurately defines the real sense of ‘home’. For me it is the rural backwater in the Welsh Marches and the boarding school among the heathland of Surrey. For my friend it is the market town with its music, its shops, its prison and its small cinema. My friend’s home town is not merely the backdrop to his short stories but a solid character whose history shapes its inhabitants, creating that unique quality that makes them different from the citizens of any other place. 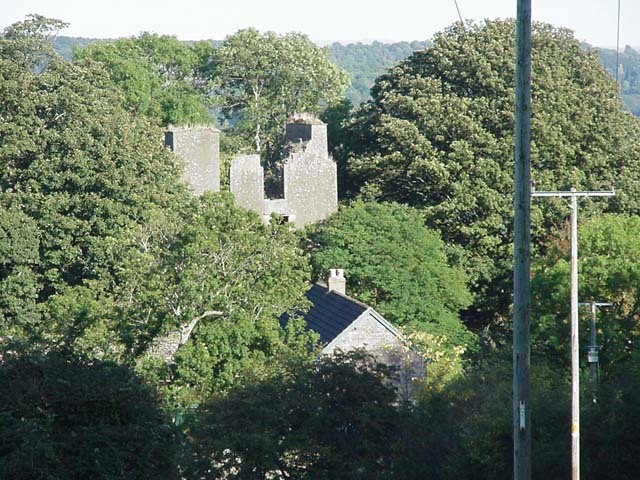 The castles and hills of the Welsh Marches mirror those to be found around my new home in Ireland. The same people built both sets of castles. A few years ago my own research centred on these people and their involvement in the history of both places. This led to the creation of the Hereford and Ireland History section of this website and Strongbow’s Wife, my novel about the young woman who became the wife of the man who answered her father’s call for assistance in his ambition to become High King. Urishay features as the setting for my own second novel, Summer Day, in which a boy believes himself to be responsible for his father’s death. Many of the characters who feature in various ways in the tragic events of the day that follows are loosely based on the real people who inhabited the district when I was growing up there. And I’m guessing the characters in my friend’s short stories are based on real people and events he experienced in his formative years. By franklparker in Hereford & Ireand History, Reviews on June 14, 2016 .